The L train may be painfully packed during rush hour, but at least it can tout the title of being the best performing of all of NYC’s subway lines—which appear only to be getting worse. The Journal reports that an audit recently conducted by the state comptroller’s office revealed that, on average, the subway system’s on-time performance (how frequently a train reaches its last stop within five minutes of the scheduled time) is on the decline, falling to 74 percent on weekdays and 81 percent on weekends in 2014, from 81 percent and 85 percent in 2013. But the worst performing train of all? The 4 train. 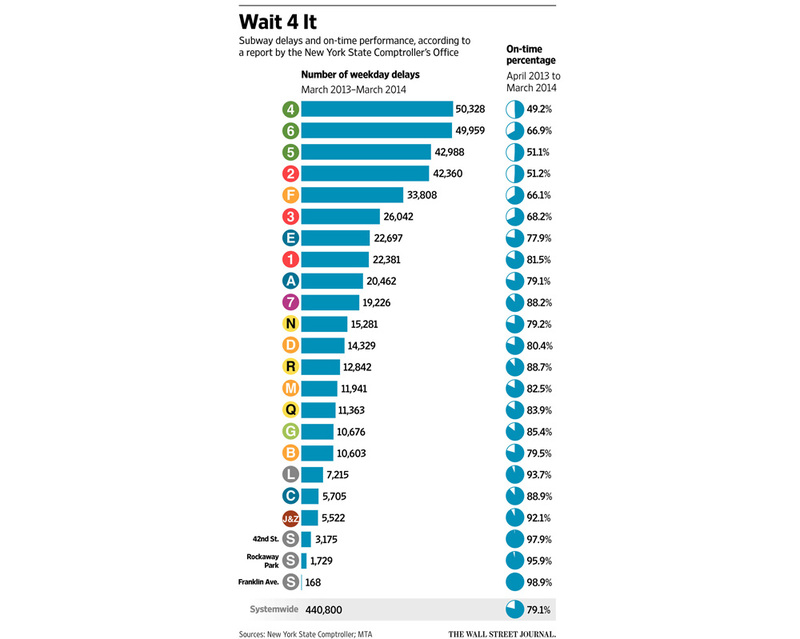 The 4 train showed the poorest on-time performance (measured April 2013 through March 2014), arriving at its final stop on schedule less than half the time. Additionally, it counted the most weekday delays, with 50,328 incidents. The L train by comparison was the most efficient, arriving on time 94 percent of the time—a figure largely credited to the line’s Communications-Based Train Controls (CBTC), a computerized system using automated signals (as opposed to fixed block signaling) that allow trains to travel closer together—and, in turn, carry more passengers. In response to the comptroller’s findings, the MTA argued that using the destination stop arrival time as the basis of evaluation is flawed. The Journal writes that “better indicators,” according to MTA officials, are “‘wait assessments,’ which measure how often subway lines stick to the scheduled wait time between trains arriving at stations. Lines that perform well under this measurement are ones with consistent wait times between train arrivals.” These have a greater effect on passengers getting to where they need to get, as few folks ever take a line to its final stop. As a recent video we featured showed, to improve waiting time, the MTA will often hold trains in order to restore regular service across a line’s stations, a move that affects on-time performance negatively. However, the audit found that wait assessments also suffered, falling to 79 percent in 2014 from 80 percent in 2013. 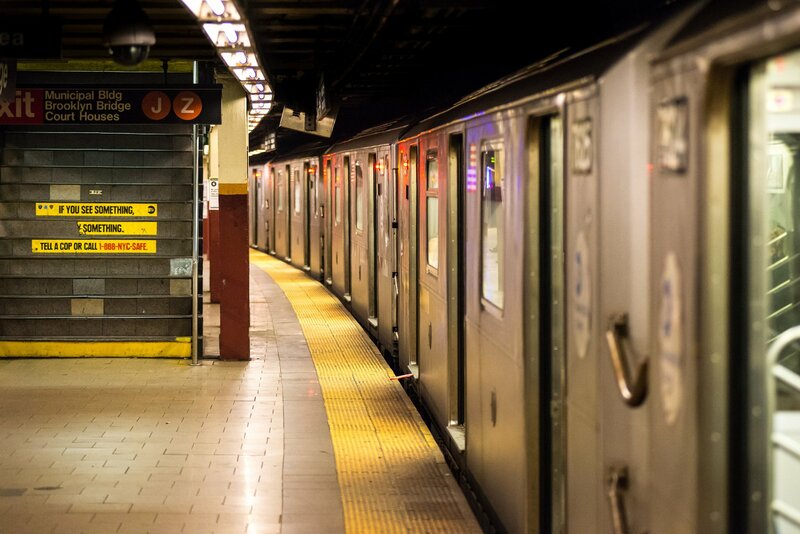 The MTA’s goal for 2015 is 81 percent, but has thus far under-delivered with numbers for January to May coming in at 79 percent. Among the top causes for delays: work to repair signal failures, power outages, track work, and overcrowding on train cars.